Couldn't agree more, I think here in Australia 90% of church attendees don't even know what biblical preaching is, never having heard a sample. 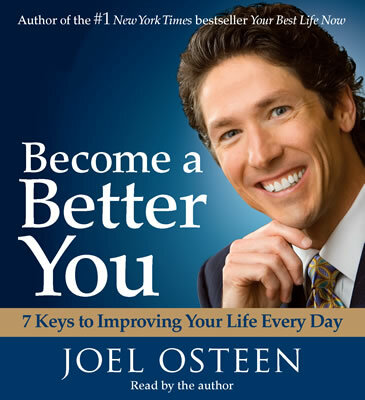 Re Mr Osteen, he also has a book called Your Best Life Now, it's kind of apt because unless there is some convicting work of the Holy Spirit in his life he is surely living his best life now, the next one wont be so great for him. Scott--So sad but candidly I am seeing the same thing here (U.S) even in strongly evangelical churches. Pastors are just too afraid to offend anymore, even with the Truth. http://bit.ly/rrXGGz My church calls me the "Equal Opportunity Offender." Oh well. I'd love for you to check out my book re: the prosperity gospel and the likes of Osteen and others. I interact a lot with Your Best Life Now. Peace! Brothers it is upon our shoulders to preach the gospel as dieing men to dieing men. I would not agree less. I nearly got into this trap. I retreated for about 8 months now and got into scriptures and allowed mentor ship from seasoned teachers of the word and in this time i have chosen to run away from motivational speaking like plague. I would not agree less. brothers it is upon our shoulders to preach the gospel as dieing men to dieing men. Here in Kenya there is a plague. Recently i was astonished when a pastor friend uploaded on facebook that his church had finally been able to get the right formular of building a culture of millionaires in his church. Sad commentary on the church in Australia, Scott. Is motivational speaking the typical replacement or some other message? I see other emphases as distractions, such as an emphasis on social justice to the neglect of preaching about sin, judgment and our need for repentance. This became true at the church I attended for 42 years. We finally left this church as it nears its 100th anniversary. The gospel had been gutted and the impact is far-reaching. People must experience the convicting work of the Holy Spirit in order to be brought into God's family, as you have said. The motivational type is very popular in the charismatic/pentecostals. I think this is due to the fact that what passes for doctrine in these places does not have the power of Gods Word behind it & so can't be the agent for true Christian life. Generally evangelical churches here have fallen into the sermonette for christianette pattern described by John Stott. They seem to be afraid of heavy doctrinal preaching constantly worrying about numbers in pews. Also there is the influence of the latest media fad from the USA. A local baptist pastor recently run a series called Emotional Spirituallity (look it up on amazon.com the reviews will tell you enough). At best this was a mishmash of pelagianism & motivational drivel that he lifted off the Internet. He is representative of so many here - no genuine submission to Gods Word leaves his preaching without substance or power & so he's looking for ways to maintain interest lacking any authority in his teaching. I've definitely seen this in a charismatic church in my neighborhood that a lot of my friends have started to attend. They talk it up as the church that will bring revival to our city. The fact is, whenever I go, I get the uncomfortable feeling that I'm being sold something, and the buzzwords drive me nuts. I pray for the courage to say something amongst my friends, at the same time resting in the fact that God's power is evident in our humility and pure devotion to Him. A person's response to motivational preaching is a real clue as to how you can pray for that person and how God might use you as an instrument to effectively minister to them. A heart united to God, only possible through the work of Jesus Christ, is the cure for our attachment to worldly success. I found your blog through Thabiti and could not be more grateful for this. There are some friends and family I am praying for who are drowning under this. Good for me to read and continue to persevere in prayer and pointing them to truth. Really needed to read this. I hope the young man got some real advice. Sadly true. Preachers must be encouraged to faithfully declare the unadulterated gospel instead of offering superficial solutions to man’s greatest problem – Sin. A gospel that does not insist on repentance and faith is no gospel at all no matter how nice it makes the recipients feel. Pastor Mbewe, please consider enlightening us on the issue of generational curses, if you have not done so yet, because it’s amazing what people are made to believe. Pastor Mbewes blog has indirectly handled the issue of generational cases through advertising Reformation Zambia - Special Edition(http://www.conradmbewe.com/2012/02/latest-issues-of-reformation-zambia-are.html). In this edition there is an article by Pastor Isaac Makashini on Generational Curses. Hope you can manage to get hold of a copy. Thank you br. Mutambo for the information.I will certainly arrange to get the copy. I am glad someone finally spoke up, for many years I have been criticizing motivational speakers not because I am divisive but for my passion for the preaching of the cross. It is a tragedy that these preachers who profess to be Christians are acting as enemies of the cross, any message that is motivated by egotistic aggrandizement waters down the power of the gospel. I am so sick of the self-serving culture that is sweeping across Christendom. This is a clarion call to us who know the truth to preach it with reckless abandon, when it is convenient and when it is not. The Apostle Paul spoke of these times, men have gathered to themselves teachers because of their itchy ears they have turned away from the truth and have turned to fables. http://bit.ly/rrXGGz Greetings and a hearty AMEN! In my new book The Proper Pursuit of Prosperity (the link is at the beginning of this) I take Osteen and others to task with specific interactions of their own words and writings. It is SO demeaning to the wonders of Christ's love for us. Thanks for telling it like it is! Best blog post I've read in a long time. This motivational speaking is a man-centered message and not a God-glorifying gospel like the Biblical one. There is no comparison at all to which is puny and which is amazing. There is nothing wrong with motivational speaking. Just don't call it "Christian". Call it what it is. Christianity is about dying and rising. That's why St. Paul said, "we preach the cross and Him crucified." There's not a lot of that going on, either. Biblical principles for living isn't preaching the cross. Even though it may sound "Christian". Success can be defined as in this quote: “If we are to live a really Christian life, we must all be sure that whatever work we are doing, it is God’s will that we should do it. How is it possible, if you are a Christian man, that you can do your secular work at all, unless you believe that it is God’s will that you should do it?” (R.W. Dale, The Laws of Christ for Common Life, 1884). Adhering to this wisdom, seeking God's guidance for your personal mission in His service, joy, peace, and contentment will follow. Am a staunch pentecostal and i can attest that some preachers are more on the 'how to succeed..prosper etc than the word of God'. My pastor once pointed this out that motivational speakers do not bring out the true gospel.we need to have a balanced gospel not just about prosperity.What shall it profit a man if he gains the whole world and loses his soul. The curse of motivational speaking? It's popular because it's promoted by salesmen and hucksters who sound like evangelists and preachers to desperate people, who believe and struggle to survive at the edge of religion and destitution. 'Success'?— to a poor man, that's the only meaning of 'saved' that counts. Why is this? Because you're getting your religion from America— American evangelicals, American pentecostals, and American money— instead of from the early church fathers. You don't even know what Christians taught in the 2nd century, the 4th, 6th, 8th, 10th, 12th or 15th— to name just a few. And you don't care whether what you're preaching has anything in common with it! For you have invited (or suffered) every 'bible-based' huckster from America to come and preach you 'the Word', and you *assume* that it's no different than what was ever taught. 'Jesus Christ the same yesterday, today, and forever', right? America is about money, its religion is money, and its soul is money. So Jesus, in America, is about money. And every other theological sickness and heresy of the last 200 years has come from America, or passed through it on its way to the larger world— Jehovah's Witnesses, SDAs, Mormons, Branhamism, all the rest, including the US Southern Baptist Convention and its incestuous marriage with the US military. When it's not money, it's 'prophecy', and when it's not 'prophecy', it's threats— 'turn or burn, sinner!' What will it take to break out of these paradigms? How will you come to see that American Christianity is not the only kind there is, and is a particularly perverted kind, at that? At a network marketing conference i had to work at the other day, I overheard a lady talking about how 'the Lord' had 'just led her' to give a 'message' so 'powerful' that even 'her countenance was changed', you know, 'like Moses'. She was talking about the company's *product*, for Christ's sake! You imagine that 'convicting people of sin' is better than 'motivating them to achieve their full potential'. But it's the same salesmanship; you're just selling the bitter pill instead of the sweet one. "Ever let mercy outweigh all else in you. Let our compassion be a mirror where we may see in ourselves that likeness and that true image which belong to the Divine nature and Divine essence. A heart hard and unmerciful will never be pure. "— St. Isaac of Syria (6th century). We are all sinners; we will struggle with ourselves till our dying day. But people will be changed by the quality of our love, and by nothing else on earth. I love the classic response my mum gives when people say "But I like this approach better". She says, "And how's that working for you?" Here you show a perfect example. The man loves the 'success' idea, but he realises that it just isn't working for him. Then there's a huge gap between that realisation, and the step to come to Christ even if there is no 'success' of the kind he wants. Thanks for the article. The other day, I was chatting with a friend who believes himself as a Christian. He insisted that one of the proof of following Christ is wealthiness in worldly sense. He knows where to quote from the Bible to support the argument, but it was read out of context. Very sad indeed, that this is a wide-spread disease. Praise God for your assessment of what is so popularly called "church". As a former attendee of Lakewood Church (Joel Osteen), I can wholeheartedly agree with this post. 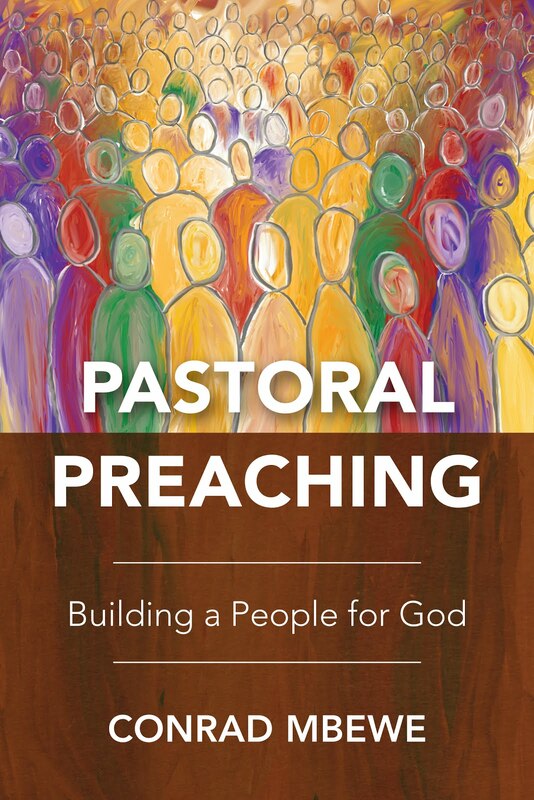 We do not need another watered-down person who calls themselves a Preacher to speak on some topical discussion, while adding Scriptures in at the last moment, only because it is the thing to do. What the true Church need are men, called by God, who are able to rightly divide the Word of Truth, to preach the Word in season and out of season, to admonish, exhort, encourage, and reprove. We don't need anymore entertaining auditoriums filled to the full with the unsuspecting and ill-informed so-called Christian who is only interested in living their best life now. What we need is the Gospel, in its entirety, the Bible, not watered down. For only until we are preached the Gospel can we understand that we are lost and need Jesus Christ to save us. No other gospel message will do, except the Cross of Jesus Christ and this Gospel. Glory be to God for this great post. May the amazing love and grace of God flow in our lives so that we can see that Christ alone is sufficient for us. He is our all in all. The Lord has a way of comfirming His Word.For a while now,i have been engaging believers in discussing this pertinent challenge that has befallen the Church today-Motivational Preaching.I must admit that i have been rebuffed and called all sorts of names for talking down messages by renowned MEN OF GOD.My argument has been that:God's word is effect on its own,it does not require any human engineering works to make it functional.My worry has been that what was said by apostle Paul to Timothy is evidently coming to pass:"people having itchy ears and wanting to hear what is pleasant to them"(2Tim.4:1-3).Thank you pastor for allowing the Lord to use you as He willed.God greatly bless and continue to equip you with even more insights. Sir, I will rather you be careful about painting with a broad stroke over the ministries of others. I speak with regard to the obvious contempt expressed for Joel Osteen's ministry in the blog "The curse of motivational speaking". It is inherently deceptive and unfair to make an example of Osteen's ministry as a stereotypical 'motivational ministry', based on one example you cited to support your writing. The fact that you put the cover of one of Joel Osteen's best-selling publication would make me really question your intent regarding this blog. Motivational speakers don't make money speaking about God. They make money speaking about finances, marketing, time management, career planning, personal grooming, self-actualization and themes along these lines. Examples are Stephen Covey, Deepak Chopra, Zig Ziglar, Eric Thomas, Jack Welsh, Dave Ramsey and Yogi Berra. The fact is if you want to include Joel Osteen in the company of these titans, he would be the first to tell you to put him on the list, as long as he gets to talk about God and God's love. Paul said he doesn't care if people preach the gospel out of jealousy or malice, as long as the gospel get preached (Philippians 1:18). In all of Joel Osteen's preaching, I've never heard him NOT MAKE the altar call at the end of his service. Motivational speakers DO NOT MAKE ALTAR CALLS. Sir, even if you would rather change the language and call Joel Osteen an inspirational speaker, please put him in that company also. Jesus was an inspirational speaker who did not condemn the Samaritan woman at the well but inspired her to reconsider her sinful life. In fact, the truth of the matter is even Jesus was singled out for associating with Zacchaeus, the tax collector, a perceived sinner. Jesus was accused of not hitting Zacchaeus hard enough with the provisions in the 10 commandments that could have made Zacchaeus see the errors of his way before Jesus dined with him (Luke 19: 1-10). Zacchaeus was inspired to make a love offering to the poor and offer restitution to those that he may have inadvertently cheated. If Jesus was an inspirational speaker, so is Joel Osteen and so are about half the preachers I admire. Sir, God is not on a pedestal to be defended by men. Let God's word do that for him. Let the Spirit of God convince men about sin, judgement and salvation, with 10 quoted scriptures or none. Let the fruits of the work of men show who loves God and who doesn't. It is not for one man to judge another man's ministry. Let each man (Preacher, Layman, Evangelist, Elder, Bishop, Deacon, Deaconess) do the work of God according to the grace granted. In Jesus' parable, the one with the 10 talents did not admonish the one with 5 or the one with two. Sir, on a final note, I wish to state that the only exception to the adjudication (for lack of a more precise term) of ministries is found in the combination of Philippians 2:12 and Jude 1:22-23. For this purpose, the erring ministry or doctrine is seen and widely regarded as sending people to the gates of hell. This is when an intervention is needed; but even then those 2 scriptures applies - minding your own salvation with fear and trembling (Phil, 2:12, Amplified version recommended) and saving others with undoubted humility and compassion (Jude 1: 22-23). Every other intervention would reek of an air of doctrinal superiority, which is not in the Spirit of Christ if the ultimate goal is to save souls. Thanks so much for the time taken to read this rejoinder and wishing you all the best in your ministry. Please note that I speak for Joel Osteen Ministry as an unofficial admirer. The only tie we have is that we live in the same city of Houston, TX. I do not go to his church and have never personally attended any of his church services. However, I do listen to his TV and podcast ministry and try to support him in any way I could. He speaks to the millions that cannot be reached by the traditional formats of church and that is one of God's graces upon his life. Good advise. Wonder why Pst's or men of the Pulpit have chosen to engage in this battle of wits against each other instead of asking God to help them and their 'lights' to shine more. They don't seem to release what exactly a shortfall they have and actually go about advertising it to every one else. Talk Jesus and how He will better me now and forever then YOUR STADIUM will be full too. I thank this Teacher of God's Word! And - No! - Sir, you’re comment is just wrong, period! The phenomena of Cash For Christ is undeniably out of control. “Support” of the likes of Osteen, Rick Warren, who’s LEADING the evangelical movement into the Jesus-Islam interfaith LIE, Benny Hinn, Joyce Meyers, etc., are in serious trouble. These people’s “fruit” is all around you. The fact that during their work as the nation’s leaders of Christianity the typical Christian’s hatred of fellow man has reached satanic levels as has their biblical world view. In case you live in a cave, or for whatever inexcusable reason you don’t pay attention, it boils down to a body of “supposed” believers claiming to make a nation of 80 plus percent Christian - yet, only 5-6 percent of them actually believe in a Biblical world view? Hence, they willfully refuse belief in the only God inspired document used to witness Christianity to an increasingly lost world? Under these “Leaders” efforts, few “CHRISTIANS” believe Satan exists, even fewer believe hell is real and fewer yet believe God created the universe? Majorities of them actually claim, it’s okay to kill God’s creations in the womb. And they just now, thumbed their nose at God again and told Him, He’s wrong on what His marriage is about? Well thank you Joel Osteen, Rick Warren, Joyce Meyers, and the rest of the cowards - YES - they took the JOB, THEY PROFESS TO RECEIVE GODLY DIRECTIVES, they TAKE THE CASH - THEY HAVE EVERY CHANCE TO PUBLICLY SPEAK TRUTH AND THEY COWARDLY REFUSE TO DO SO. Well guess what? NO ONE, NOT ONE OF THEM, in the “evangelical” leadership roles with any major bully pulpit, has so much as dared call the liar’s bluffs? Thanks to our Cowards for Christ, there are entire denominations who teach - AS DOCTRINE - that King David and Jonathan, Jesus and John, and they recently added, Naomi and Ruth, were-are - all sodomites? ONLY mentally insane people could profess it’s even remotely possible to find such insanity in the Word, and saying that is insulting to mentally ill people. But only cowards for Christ with international pulpits, would let it go on for decades, unchallenged. BUT WORSE than that, to date, our supposed, leaders in the evangelical movement, PUBLICLY call these God hating churches and the people who follow them, “members” of the “BODY OF CHRIST?” If you refuse to acknowledge the confusion this kind of heresy is causing unbelievers AND believers, you aren’t really wanting to spread any good news are you? Listen, if we’ve reached the point that we can’t, or won’t - REBUKE AND UTTERLY EVICT with the power of the Word of God, on INTERNATIONAL TV or even the internet, these kinds of heretics, then there’s not one of us alive, worthy of HIM saving us. Not you, not I, not any Christian who winks this stuff off, has earned eternity in the Kingdom of God. If we hate people so much, and are so worthless to Jesus Christ, that we can’t PUBLICLY, unashamedly, rebuke such nonsense how in Heaven can we expect Him to open His Kingdom to us? If these new doctrines were true, then guess what? Heaven will look WORSE than the planet does right now. The best you “might” get from them is: “well, two men sodomizing each other isn’t God’s best plan?” As if, it were a plan of God’s, just not one of His favorites? This isn’t some acceptable “theology” or debatable truth, this is an infiltrated effort of a political, anti-God entity, PERIOD. The bulk of these people know full well, what they are, and what they’re doing, and that’s why Paul, through directly mingling with Christ said: “THEY ARE ALL LIARS,” and let me finally say, sir - we’ve been “careful” enough, this guy is SPOT ON! I told a Pentecostal pastor in 1999 about a great dying to self message I heard during the week and I was shocked and stunned that he flippantly and mockingly dismissed that unnamed preacher as some kind of fringe extremist preacher.. I knew in my sad heart then that a great divide was coming within the Church; those who loved Christ and His Gospel and those who would love another Gospel, the Gospel of self. "With their lips they honour me but their hearts are far from me." 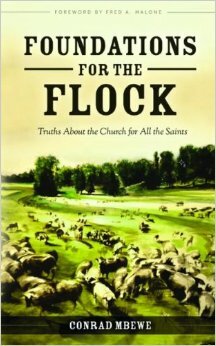 With no real preachers, who is left to bring account to the flock? It will be the fellowship of groups of believers who, through their speech and conduct, will either demonstrate faith, love and purity, or yearn for the false Gospel which equates to no less than idolatry - carving out their own image of God, and not willing to worship the true living God, in spirit and in truth. Everywhere I go for the past 15 years, I find increasingly a number of believers who yearn for genuine fellowship among those born of God and filled with the Holy Spirit. The majority has now become the minority, but let us not lose heart and pray. Pray that God raises up His standard once again and pours out His spirit upon the hungry and thirsty. Let's believe together and burn brightly even if we are the only lamps burning for a time. Let us love one another, honour one another and pray earnestly for one another. Love covers a multitude of sins yet we must pray for Godly preaching that we may all have truth in the inward parts, a breaking of our rebellious spirits and the manifestation of contrite and humble hearts. To see some truly Godly inspiration and motivation, visit thelastreformation.com and take the Pioneer School lessons. You will be a doer of the Word, not merely a hearer. It's about making disciples of Jesus, healing the sick, setting captives free, and preaching the Word. We need some Elijahs and Elijahesses to drive out this blasphemy from the holy place. From Gods Holy Sanctuary. I HAVE A DIFFERENT REPLY than others listed. While I agree more strongly than you can imagine with the realization that we need something entirely OTHER than the superficiality of pumping people up on false assurance stimulants of preaching to the ego. We, I have come to a place where the realization is needed that we DO NEED A VISION. IF ALL YOUR VISION is that you are a sinner who sorely needs to be forgiven. Or that all you need is to DIE DIE DIE, take up your cross (well, I've been there myself, and it does not bring the kingdom of God either, nor a mature sonship in Christ)! I felt the Lord awakened me to this just last week! We must show them the pearl!!! Let them see the pearl!! Once the man SAW the pearl, he was willing to sell ALL for that pearl. The revealing of the greatness of the inheritance in Christ, all His belongs to the children of God. As many as believed on him, to them HE GAVE THE AUTHORITY (right of access) to become the children of God! To be heirs of God, both in this age and the one to come. We are co - heirs with Christ. Our calling in this day is NOT JUST TO DIE, BUT TO LIVE! To live in and BY all the fullness of Him. Our preaching has to get past John the baptists call to repentance, for the kingdom of God is at hand. But we must preach that, then follow on with Christ, to the baptism of Christ - which is to come into Him. We are both called and equipped to walk in the Spirit, to inherit with this Spirit of Adoption as Sons, the full inheritance. Death to self is a beginning, faith toward God is essential, but then living by the power of the same Spirit that moved and moves in Christ, who is no longer dead, but living. And living I must say at the right hand of God the Father, there sitting until all things are made subject unto Him. We are that transitory generation whose destiny and calling to fulfill is to be fully found in Christ, living, moving, declaring with great grace and power, in the full and true nature of this lamb of God who died, but also is risen. WE not only DIED WITH CHRIST, WE ARE RISEN!! MOST HOLINESS PREACHING LEAVES US DEAD, it is sorely lacking. Brethren and sisters in the Lord, we must move on from John, to the resurrected Christ. We certainly must die to all things, but few will ever go all the way unless they SEE the prize. IT IS NO SHALLOW OR SMALL THING TO WALK WITH THE LAMB OF GOD, AS HIS BROTHER, A REDEEMED FRIEND WHO DECLARES HIM IN WORD AND DEED, EVEN THE VERY SUBSTANCE OF THEIR LIFE NOT ONLY GIVEN OVER TO HIM, BUT HAVING TAKEN ON THE NATURE OF THE RISEN LAMB! The power of the resurrection is upon us. Seek Him until you find Him!! This generation of preachers is responsible for this generation of sinners. Sin today is both glamorized and popularized, thrown into the ear by radio, thrown into the eye by television, and splashed on popular magazine covers. 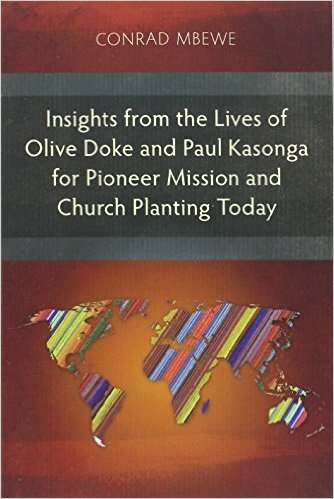 Church-goers, sermon-sick and teaching-tired, leave the meeting as they entered it – vision-less and passionless! Oh God, give this perishing generation ten thousand John the Baptists!!! This generation of preachers is responsible for this generation of sinners. Sin today is both glamorized and popularized, thrown into the ear by radio, thrown into the eye by television, and splashed on popular magazine covers. Church-goers, sermon-sick and teaching-tired, leave the meeting as they entered it – vision-less and passionless! Oh God, give this perishing generation ten thousand John the Baptists!!! Quote: Leonard Ravenhill; Why Revival Tarries? you need to kneel and pray. you'll have a brand new start. if God's grace we chose to shun. to choose to serve God's son. as conviction dealt with me. Then God removed my fears. and I had much deep despair. I knew I could not win. I was loaded down with care. when I had no place to turn. and His joy He then restored. that He said that we should do. He's the great forgiving King. We're to be forgiving, too. who are loaded down with care. and their burden they would share. to the church to which they go. and God's freedom they don't know. in the fullness of it's power. and the Devil makes them cower. or the doctrine that they're taught. as the devil now assails. but my Savior they reject. but my Lord they don't respect. when I've reached that Golden shore. and evil no more rages. Love this article. This disease has caught on in India at feverish pace.